A study published in Infection Control & Hospital Epidemiology examines how much the cost of hip and knee replacements increase when patients develop surgical site infections (SSIs). 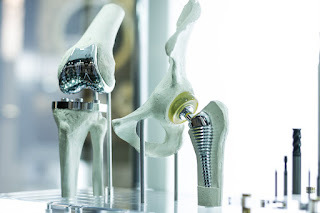 Researchers noted that there are nearly 800,000 primary hip and knee arthroplasty procedures performed annually in North America, with approximately 1 percent complicated by a complex SSI. They focused their study on all patients in Alberta, Canada, who underwent the procedures over a three-year period from 2012–2015 and identified those patients who developed a postoperative complex SSI. They then determined the total costs over one year and two years, analyzing the data comparing hip and knee replacement patients with and without SSIs. What they found was that total costs more than quadrupled over a 12-month period for patients who developed a complex SSI, increasing from about $14,000 to about $68,000 in U.S. dollars. The researchers also found that the most commonly identified causative pathogen was Staphylococcus aureus. While preventing patient harm should be reason enough to increase efforts to reduce SSIs, the financial implications lend further support for their need and importance.